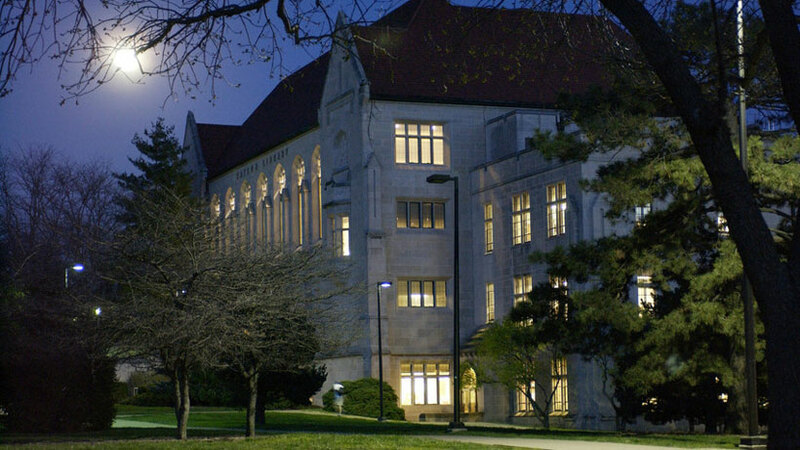 Opened Sept. 11, 1924, this Collegiate Gothic-style limestone building was named for Carrie M. Watson, an 1877 and 1880 alumna who was university librarian 1887-1921. It was designed by George L. Chandler and State Architect Ray L. Gamble. 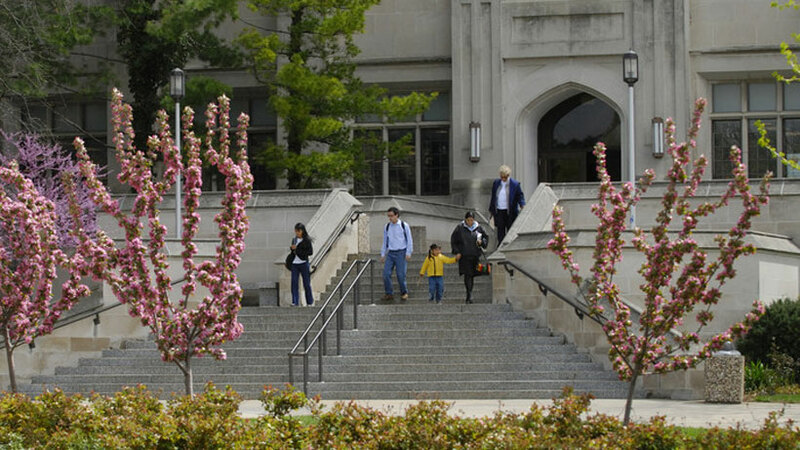 Five structural additions were done between 1938 and 1963; chronic crowding and disorganization were alleviated by the completion of Spencer Research Library in 1968 and Anschutz Library in 1989. 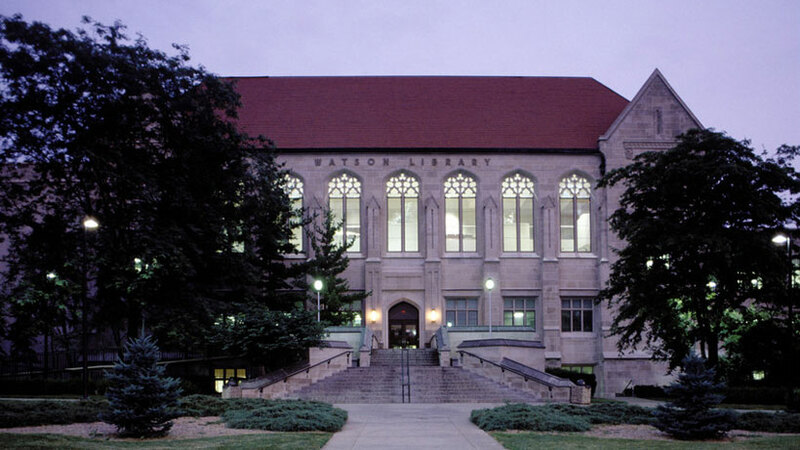 Watson houses collections in social sciences, humanities, education, journalism and social welfare; administrative and processing offices; conservation laboratory; and computer classrooms. The lawn in front of the library was the site of the first Snow Hall, dedicated Nov. 16, 1886, and razed in 1933. 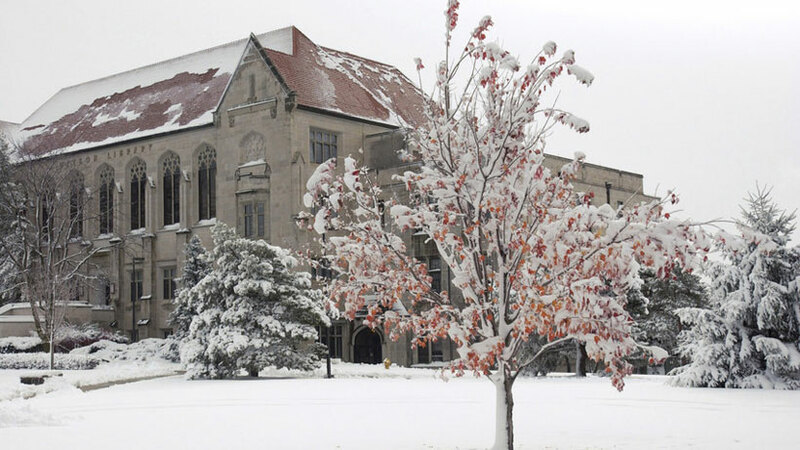 Limestone salvaged from Snow was used on the Military Science Building.